Last updated by admin at August 19, 2013 . This tab is where you enter default PINs as well as other settings pertaining to this provider. SSN/Federal Tax ID: Enter the provider’s Social Security or Federal Tax ID number. This number prints in Box 25 of the CMS- or HCFA-1500 claim form. Choose a radio button to indicate whether the number entered is the Social Security Number or the Federal Tax ID. If you select Federal Tax ID, an “X” prints in the EIN box (Box 25 of the claim form). If you select Social Security Number, an “X” prints in the SSN box of Box 25 on the claim form. UPIN: If the provider is part of a group practice which has been assigned a group number by Medicare, that number is entered in the UPIN field. The UPIN is necessary for designating a referring provider on the CMS- or HCFA-1500 claim form. EDI ID: This field for electronic claims. Follow the instructions in your Medisoft EDI instruction book to enter the required information. CLIA Number: If you are sending electronic claims for lab charges, enter the CLIA number in this field. TAT Number: If applicable, you receive this number when enrolling in electronic claims. It has 11 digits. If you receive a TAT number that has less than 11 digits, add leading zeros to complete the 11 spaces (e.g., if you receive the number 1234567, enter “00001234567”). Hospice Emp: This field is for electronic claims. Click this box if the provider is a employee of a hospice. National Identifier: Enter the provider’s National Provider ID. This 10-digit number is a standardized identifier that provides each provider with a unique identifier to be used in transactions with all health plans. Payee Number: This field is for when you send GPNT (IL Medicaid) claims only. Enter the provider’s payee number. Taxonomy Code: This field is for electronic claims. Enter the provider’s taxonomy code in this field. The taxonomy code replaces the provider’s specialty code. Mammography Certification: This field is for electronic claims. If the provider is certified to perform mammography procedures, enter the certification number in this field. Extra 1 and Extra 2: These fields are for entering miscellaneous information in our practice management software program. This tab is where you enter demographic information for the provider. Code: The provider code can be up to five alphanumeric characters and identifies the provider in the program. A provider can be a doctor, nurse, technician, or physician’s aide who deals with patients. Enter the provider’s name, address, and telephone numbers. Inactive: For information on the Inactive check box, click here. Last Name, First Name, Middle Initial, Street, City, State, Zip Code: Enter the provider’s demographic information. When entering a new address, the focus of the program moves to the Zip Code field after the Street field. Enter the zip code. If that code has already been entered in the program database, the city and state information is automatically entered in their respective fields. If the zip code is not found in the database, the focus of the program returns to the City and State fields for your input. This information is then saved to the database and available the next time the zip code is entered. After entering a Zip Code and auto populating the City and State fields, if you then go back to the Zip Code field and change the value entered without first saving it, the system will not change the City and State value previously entered, producing an inaccurate record. Use care when changing an auto populated City and State field without first saving the initial entry. Credentials: Enter up to seven alphanumeric characters to indicate the provider’s credentials. E-Mail/Phone Numbers: Enter the provider’s E-Mail and other Phone Numbers in the spaces provided. Signature on File/Signature Date: Signature on File would be checked if the provider has signed an agreement with Medicare to accept its charges and an affidavit is on file. If it is checked, the Signature Date field becomes active to display the date on which the signature was placed on file. To enter a date in this field, either type the date or click in the Signature Date field or the down arrow to the right of the field and the calendar opens. For information on how to use the program calendar, click here. Medicare Participating: This check box should be clicked if the provider is committed to working with Medicare. License Number: Enter the provider’s license number in the field by that name. Specialty: If you are sending electronic claims, select the provider’s special field of practice. If you need to use a specialty code that is different than the usual code, select “– Not Listed –” and enter your specialty code in the data entry box that appears next to the Specialty field. NOTE: This field is not used for sending paper claims unless you have modified your claim form to include this information. Entity Type: The Entity Type field is to identify whether the entity is a Person or a Non-person. This is for sending electronic claims. This window contains important information about the providers associated with your practice. Each provider in the practice needs to have his or her own record set up in the database. Go to the Lists menu, select Provider, then select Providers. In the Provider List window, click New or Edit to create a new record or modify an existing one. For more information on entering NPI data see Entering NPI Information in Medisoft. There are four tabs in the Provider window. Click a tab name below to move directly to information concerning that tab. Each of the above “Tab” will be discussed in a separate blog post for our practice management software. Go to the File menu and select Practice Information to open the Practice Information window. The window has two tabs and each is divided into three sections. Unless noted below, enter the information as requested. Note that special characters cannot be used in these fields (such as a slash). Zip Code: When entering an address, the tab stop moves to the Zip Code field after the Street field. If you enter a zip code that has already been entered, the city and state information automatically populates. If the zip code has not been entered, enter the city and state in their respective fields. This information is then saved to the database and available the next time the zip code is entered. For more information on this feature, see Program Options – Data Entry Tab. Type: Click the down arrow to select your practice type: Medical, Chiropractic, and Anesthesia. When you choose Chiropractic or Anesthesia, other areas in the program change accordingly. Medical is the default practice type and does not add any additional fields. When you select Chiropractic, the Level of Subluxation field appears in the Diagnosis tab of the Case window for entering the level of subluxation. See Case (Diagnosis) . In addition, five treatment fields are displayed in the Miscellaneous tab of the Case window electronic claims: Treatment Months/Years, No. Treatments-Month, Nature of Condition, Date of Manifestation, and Complication Ind.. See Case (Miscellaneous) . Anesthesia Selecting Anesthesia causes the field Minutes to be added next to the Units field in the Transaction Entry window. Extra 1 and Extra 2: These are option fields that may be used if a carrier requires extra data on a claim. They can hold up to 30 characters. Entity Type: The Entity Type field is used to identify whether the entity is a Person or a Non-person. Choose Person or Non-Person depending on whether the practice name consists of a practice name or an individual’s name. For example, if the practice name is Best Western Clinic, you would choose Non-Person. However, if the practice name is Dr. I. M. Best, you would choose Person. This tab is nearly identical to the Practice tab. It is provided for those occasions when both practice and billing service information is needed. Fields in the Billing Service tab are used for sending electronic claims in the ANSI format. This tab also makes billing service information available in reports (designed through the Report Designer). You can set up more than one practice in Medisoft, each with its own Practice Information window. With separate practices, you have separate data files, i.e., patient information, procedure codes, diagnosis codes, insurance companies, providers, etc. The bottom line is that you can have one set of the Medisoft program files from which you can access different sets of data files. When you enter Medisoft Insurance Billing Software, the program selects the same database that was last in use when the program was shut down. The Provider window contains important information about the providers associated with your practice. Each provider in the practice needs to have his or her own record set up in the database. You will use the Provider Class window to enter classes or groups for providers in your practice including group NPI numbers. The Referring Provider window contains important information about the referring providers associated with your practice. You will use the Insurance Carrier window to enter insurance carrier records, and the Addresses window is used to enter address information important to your practice. The Diagnosis List window displays all diagnosis codes that have been entered into the database and controls to edit or enter new codes. You will use the Procedure/Payment/Adjustment Code window to enter and edit, etc. procedure codes. If you process electronic claims, you will use the EDI Receivers window to set up/edit EDI receivers. The Patient List window is the main space for entering/editing patient and case information. Medisoft 14 introduces another method for Medisoft Advanced and Network Professional users, the Patient Quick Entry window, for creating and editing patient and case records that provides custom data entry and display options. 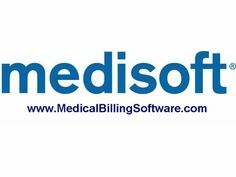 You can also take advantage of Medisoft Medical Billing Software’s security features and set up different users with varying degrees of permissions to application functions.